Performance Automatic has researched the best shift modification packages in the business and brought together the best there is. You want two things from any shift improvement kit, easy installation and positive shifts. Here they are, look no further for the tire chirping shifts and performance you can count on. This direct bolt-on valve body is designed for everyday street driving, as well as track days on the drag strip. It allows Automatic shifts in the drive position and will hold 1st and 2nd gear manually (C4, C6 and AOD Hold valve bodies only). It supplies tire chirping shifts when you want them. 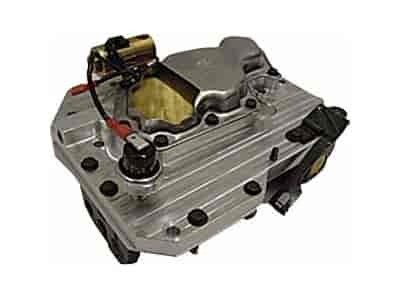 This valve body, which is featured in Performance Automatic Super Streeter transmissions and is a direct bolt in with no other modifications required. With Performance Automatic Racing's full manual, reverse pattern valve body, you are in control. Designed with competition in mind, this valve body is a direct bolt-on, and its fluid circuits have been completely reengineered to provide the best shifts possible. This "no flare" reverse manual valve body is also featured in Performance Automatic's C4 and C6 competition transmissions. When you need your vehicle to leave the line hard, a Performance Automatic Racing transbrake valve body is second to none. Available in complete ready-to-install units, these valve bodies enable you to increase the torque converter to maximum stall speed without creeping through the lights. Leave the line with confidence and a great reaction time every time with help from Performance Automatic. Note: Deep Pan Required with all Transbrake Valve Bodies.